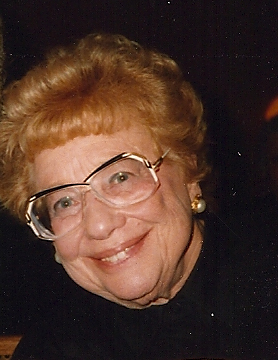 Pauline Furth, M.D., 98, beloved sister, mother, grandmother, and great-grandmother, passed away on December 26, 2014. The daughter of Russian Jewish immigrants Tanya and Samuel Frumkin, Pauline (Pima) was born on October 5, 1916, in County General Hospital in East Los Angeles, where she later did her medical internship. Pauline was a social activist in health care and the peace and civil rights movements. She was also an early advocate for women’s rights. Pauline Furth.She practiced medicine, but she was never afraid to march in the streets. She dedicated her life to the community of East Los Angeles and was known as “La Doctora.” She graduated from Garfield High School at age 16 and was accepted to the University of California at Berkeley, during which time she became radicalized and joined the Trotskyist movement. She graduated Berkley with highest honors and was admitted to Hastings Law School as one of the few women and Jews at that time. Pauline left law school after one year, even though she received very good grades, not wanting to postpone the opportunity to help people at the grassroots. She moved to Monterey, California to help organize the cannery workers. She then left for San Diego, with her husband Al Furth, where she succeeded in organizing cannery workers and was elected to the highest post in the union. The union held two meetings, one in English and one in Spanish; fluent in Spanish, she chaired both meetings. Pauline’s decision to go to medical school was motivated by doctors’ inability to diagnose or remedy what turned out to be lactose intolerance in Pauline’s first daughter, Julie Furth Korenstein. Pauline was one of only two women admitted to that medical school at that time. After graduating from medical school, she returned to her roots and began practicing medicine in East Los Angeles in order to help the very poor. She and her partner Dr. Herb Karlow founded First Street Medical Clinic and practiced there for over 40 years. During the period when Cesar Chavez was organizing farm workers in Delano, Pauline and her partner spent weekends in Delano giving free medical aid to the farm workers. Her clinic was a unique place, with tables of food brought to the clinic by grateful patients unable to pay for their medical care. No one was ever turned away, and all received equal treatment. Pauline Furth contributed articles to Against the Current on the Gulf War Syndrome coverup, online here and here.